Before I begin, there are 4 things that you will need for this tutorial. 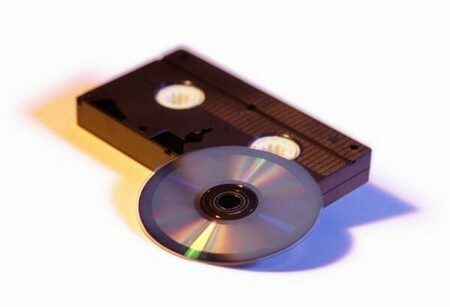 You need a VHS player, a standalone DVD Recorder, cables to connect your VHS to your DVD player and a recordable blank DVD. You will either have most of these, or you will be able to buy them cheap at the local electronics store. To begin, connect the video and audio outputs from your CVR into the video and audio inputs that your DVD recorder uses. Most of the time you can use standard RCA cables that should have 2 audio outputs and 1 video cable. If you don’t already have these, you can buy them at most shops that will sell you home audio and video equipment. RCA cables are easily recognized because they have 3 plugs, one red, one yellow and one white on each end of the cable. Sometimes your DVD recorder might not be able to use standard RCA cables. If it cannot then you will have to consult the manual that it came with and determine what type of input it uses. Now simply put a blank DVD into your recorder and select the “begin recording” button on your machine. Next, select the “Play/Begin” button on your VCR. Let it play until the tape has finished and stop recording on the DVD player. If needed, finalize the DVD in your recorder if it is required. Finalization is the process which allows DVD’s to play on any other DVD player. Not all DVD recorders require finalization, but most do. If you are unsure on whether or not you need to finalize your recording, consult the owners guide to your DVD recorder.